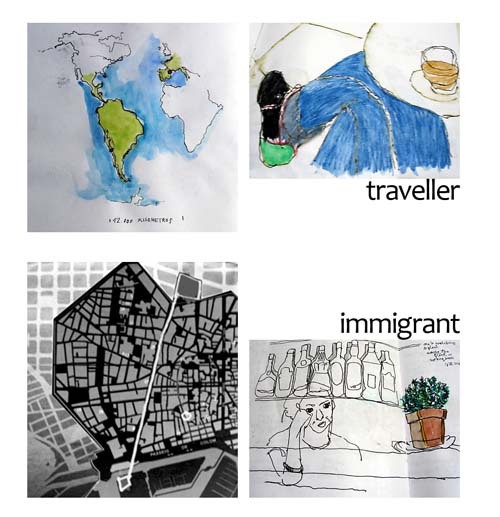 Hi Andrea: I have been thinking about the differences between migration and traveling. Traveling it’s a decision, were you know the times, and the plans. Vacations usually means traveling, or sometimes we travel for our work, or because we just like it. But, what about migration? He estado pensando en las diferencias entre migrar y viajar. Viajar es una decision, generalmente se planea, está pauteada. Se viaja cuando se está de vacaciones, se viaja por trabajo, por gusto. Pero ¿cuándo se migra? Travel: To go from one place to another.